Winter coats with sandals? Furry bags with long satin gowns? Anything goes as the fashion pack descends on London to take in the latest runway shows. See photos. LONDON (AP) — Winter coats with sandals? Furry bags with long satin gowns? 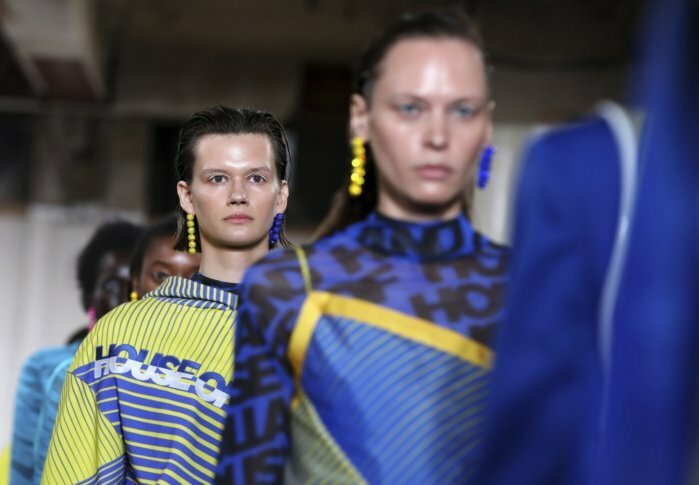 Anything goes as the fashion pack descends on London to take in the latest runway shows, where bright colors, clashing neons, a ’70s vibe and sports-chic vied for attention. Veteran designer Jasper Conran, model-turned-designer Alexa Chung and House of Holland were among those showcasing their spring and summer designs at Day 2 of London Fashion Week on Saturday.